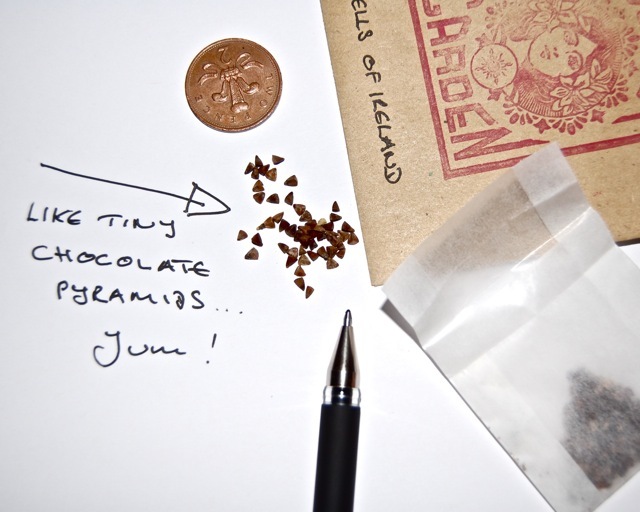 Sowing Molucella (Bells of Ireland) Seeds. 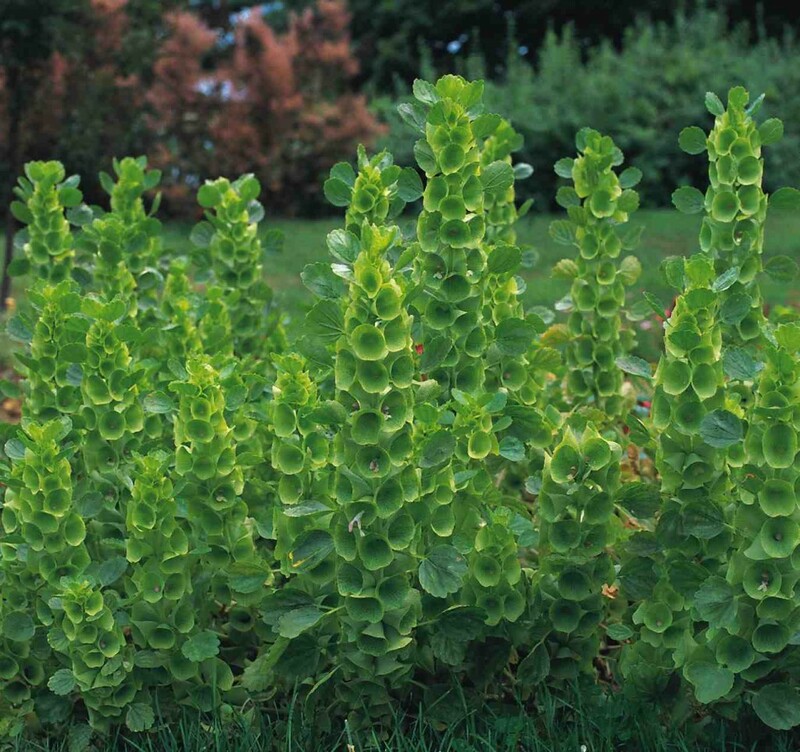 Spires of Molucella…great for cutting. 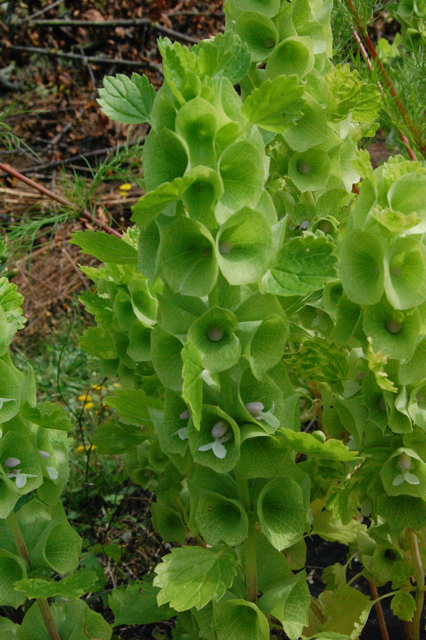 know ‘Bells Of Ireland‘…three foot tall spikes of ‘bells’ the colour of that soap your Granny always used. These bells shelter tiny white flowers that eventually turn into four perfectly formed seeds. Bells of Ireland is very useful in the vase as it acts as a perfect foil for more brightly coloured annuals whilst adding form, structure and interest in it’s own right. Not only do they have good strong stems but they last for yonks and yonks in the vase too…but remember to change the water regularly. *Dig over your bed and add some organic material, home made compost is best. *I sow early in spring, they tolerate light frosts. In fact they need a cold spell in order to get going….but you can simply pop the seeds in the fridge for a few days before sowing. *The seeds need light to germinate, so don’t bury ‘em….but press them firmly into the soil for good contact. 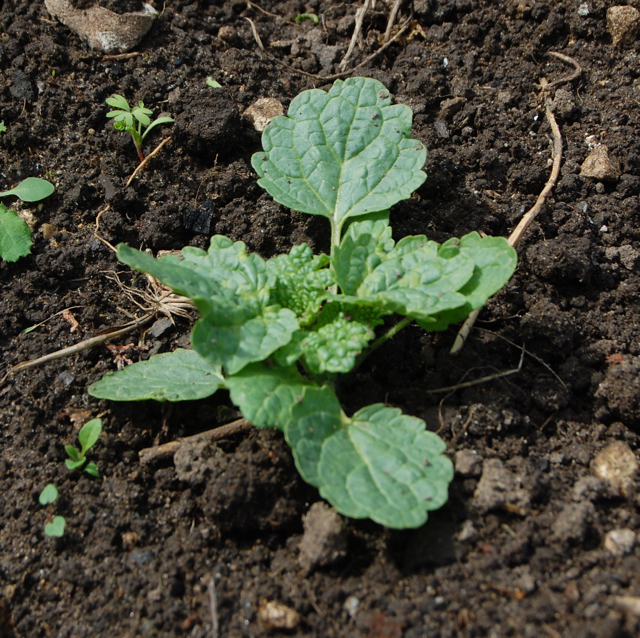 *I sow a batch or two indoors at the beginning of April and then some outside May. *Space them a foot apart, or a little less. *They need lots of sun…think Turkey, not Dublin. *They need to be kept moist while they become established. *You may need to stake the rascals otherwise they can take a tumble in a high wind…which is very tedious….I didn’t stake mine last year and they were fine. *Bells of Ireland usually flowers in July/August but can flower until the frosts with successive sowings. *I have heard of folk germinating seeds in the fridge…I haven’t done this myself as a fridge is for keeping beer, and rhubarb yoghurt in. Try ‘Bells of Ireland’ with Zinnia, ‘Mammoth‘ or especially with the luscious Rudbeckia, ‘Marmalade’. Please let me know if you have tips with regard growing this little beauty. Sowing Amaranthus Seeds. Cornflowers ‘Black Ball’ From Seed. Sowing and growing Cosmos in the cut flower patch. ‘Drop In, Seed Sowing Workshops’. Bridge Nursery. Napton. Warwickshire. Sweet Peas Sown Into Cardboard Pots. Higgledy Garden Bee Friendly Flower Meadow Guide.